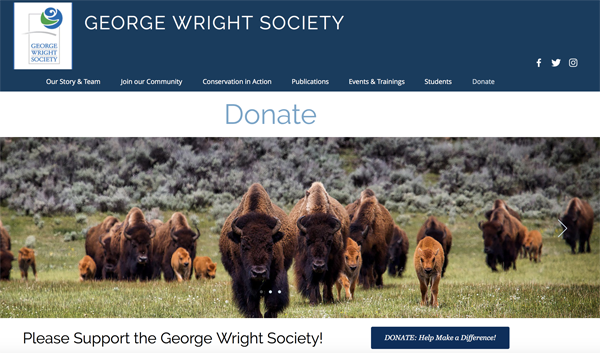 For general donations, please use the new donation site listed above. However, If you would like to make a payment for a special event or membership, please use the form below. When you click the Donate Now button below, you'll be given a link to the GWS secure payment page. Please select one option from the list. If you want to split your donation, please give details in the Special Instructions box below. Use this box to tell us anything else we need to know about your donation.